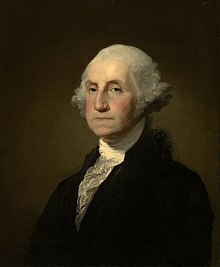 George Washington (1732 - ) ce tlacetilillahtohcayotecatl cemitqui in Tlacetililli Tlahtohcayotl tlahtohcatlahtoani itech 2006-2012. Otlacat ipan Westmoreland, Virginia, in xiuhpan 1732. Inin tlahcuilolamatl omopatlac immanin 9 Cēn 2016, ipan 17:49.